They were hunter-gatherers, hunting with bows and arrows, trapping small animals and eating edible roots and berries. They lived in rock shelters, in the open or in crude shelters of twigs and grass or animal skins. 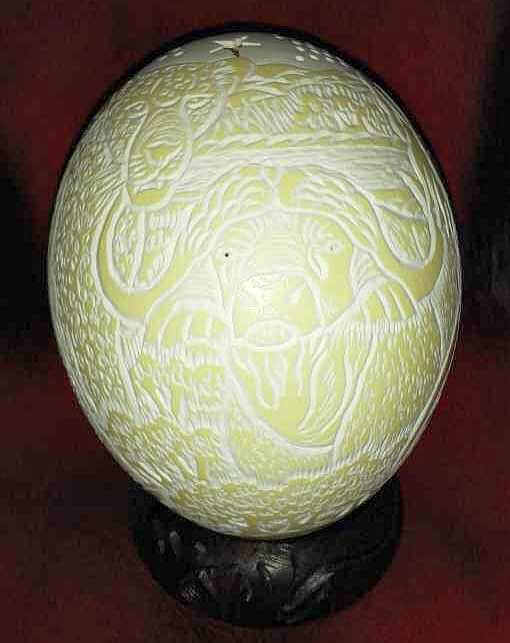 They made no pottery, rather using ostrich eggshells or animal parts for storing and holding liquids. 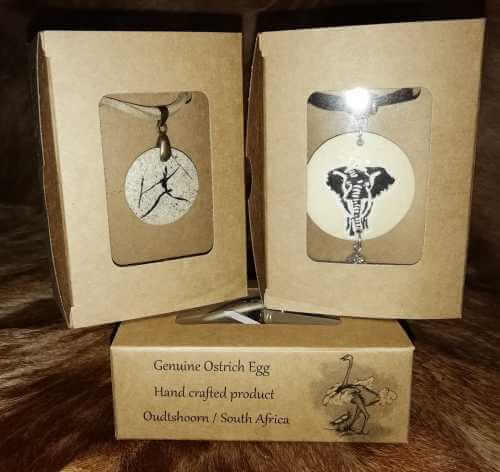 For these reasons, animals and nature are central features in the Bushman's religious tradition, folklore, art and rituals. 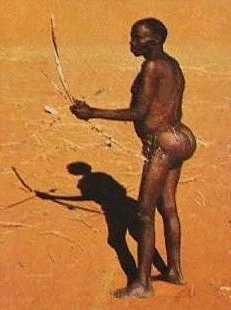 The Bushman are small in statue and usually have large bottoms hence the term "Bushman bum"
The most important southern Bushmen spiritual being was /Kaggen, the trickster-deity. He created many things, and appears in numerous myths where he can be foolish or wise, tiresome or helpful. A ritual is held where the boy is told how to track an eland and how the eland will fall once shot with an arrow. He becomes an adult when he kills his first large antelope, preferably an eland. The eland is skinned and the fat from the eland's' throat and collar bone is made into a broth. This broth has great potency. In the girls' puberty rituals, a young girl is isolated in her hut at her first menstruation. The women of the tribe perform the Eland Bull Dance where they imitate the mating behavior of the eland cows. A man will play the part of the eland bull, usually with horns on his head. This ritual will keep the girl beautiful, free from hunger and thirst and peaceful. As part of the marriage ritual, the man gives the fat from the eland's' heart to the girls' parents. At a later stage the girl is anointed with eland fat. 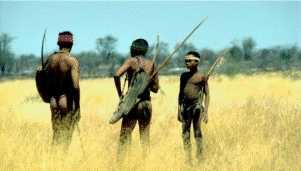 The modern Bushmen of the Kalahari believe in two gods: one who lives in the east and one from the west. 'Medicine People' or shamans protect everyone from these spirits and sickness. 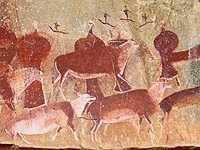 The Bushmen are well known for their rock art paintings of stickmen figure hunting and gathering. These bushman paintings have become important historical finds as they have given historians key data in the lives and times that the Bushman has been around. As well as the movement of African people. 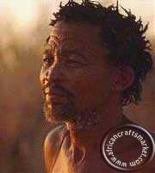 The bushman are not notorious for their craft but are more known for their paintings and rock art. They do however make traditional arts and crafts today such as eggshell jewelry, bows and arrows, dancing and fire sticks and dancing skirts. 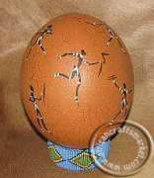 They are also making exquisite textiles and ceramics that have been hand painted with traditional images.